Discover South Italy with New Travel Services. Starting from Sicily, the largest island in the Mediterranean Sea, up to Puglia and Salento, the heel of the boot, two very beautiful regions, with many places declared world heritage by Unesco, bathed by a beautiful sea, rich in art, ancient history, and traditions. Our company cars will take you on this trip, and we will assist you along the way providing you with all the information necessary to appreciate this exclusive tour. The first day, our drivers will pick you up at Catania airport and transfer to the hotel in Syracuse. You will spend the rest of the day to unpack and relax. The second day, after breakfast, you will visit Siracusa, the wealthiest of the ancient Greek towns. Visit the archaeological area including the famous "latomie" (quarries) of Paradise and the "Ear of Dyonisos", the Greek Theatre and the Roman Amphitheatre. We continue by visiting Ortigia island with its famous Cathedral and the Aretusa Fountain. The tirth day we will drive you to Noto, known as the capital of Sicilian Baroque, built after the earthquake of January 1693. Noto is entered by the Porta Reale and from there you can follow the Corso Vittorio Emanuele, along which you can admire the cathedral and numerous beautiful 18 th century palaces of incredible architectural value, such as the Palazzo Ducezio, the San Carlo's church and Palazzo Nicolaci, with its splendid balcony in baroque style with its carvings of humanized animal faces. Driving along roads marked by drywalls, we will then move to Modica, built on a hill, with its small characteristic houses and facades and then Ragusa Ibla, known as one of the most beautiful towns in Sicily thanks to its historical buildings, beautiful views, and it's small typical streets. The forth day we will drive to the north side of Sicily, to Taormina. Leaving Syracuse, you will start the day visiting Mt Etna, the highest active volcano in Europe, now declared a World Heritage site by Unesco. Near rifugio Sapienza, at 2,000 meters altitude, you can enjoy a wonderful view of the mountain, where sea and sky meet, and the Crateri Silvestri. With an extra cost, it is possible to climb to 3,000 meters, to the top of the volcano, firstly, taking the cable car to 2,600 meters then with a 4 x 4. After lunch, we will drive you to Taormina, for your accommodation and where at our suggestion or with a local guide you will explore the picturesque town, with its main square a beautiful balcony, looking over the sea to Etna, the Greek Theatre, the Palazzo Corvaja, the Odeon, the public gardens, Palazzo Duchi S. Stefano. The fifth day is dedicated to the ancient art of Sicily. After breakfast, we drive you o Agrigento, and its Valley of The Temples, famous all over the world for its archeological park. Per our suggestion or with a local guide, a complete tour of the archeological zone takes up to 2 hours to admire the majestic temples built by the Greeks. After lunch Our second visit is to the Roman country villa of Piazza Armerina, one of the most important archeological sites in Sicily, mainly because of its 3,500 square meters of mosaics which cover the floor, and, above all, the famous women in their bikinis, defined in the story of art as the oldest example of this form of attire. On the sixth day we will leave Sicily to go to Puglia, in south-eastern Italy. 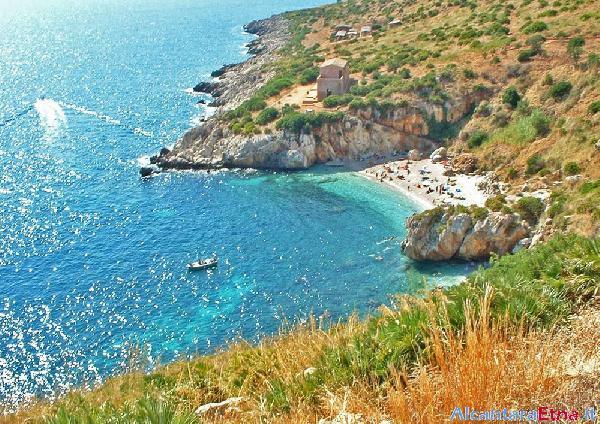 From Taormina we will drive to Messina, crossing by ferry the 3 km of sea that separates Sicily from the rest of Italy, up to Villa San Giovanni and then by car to Reggio Calabria. We will visit the city of Reggio, the beautiful promenade from which we can see Mt Etna, and the museum that houses the famous bronzes of Riace, two ancient statues fished at sea. After lunch, traveling along Calabria, a five hours trip we will take us in Puglia, in Polignano, where we will stay. Enjoy a beautiful Evening at your leisure, strolling through the quaint old town center. On the seventh day after breakfast at the hotel, we will reach the Caves of Castellana, with numerous stalactites, and then on to Ostuni, called the white city for its characteristic historical center painted with lime. After lunch, the day ends with a visit to Alberobello, famous for its characteristic houses, called the Trulli, in the shape of a cone, made all in stone, where families used to live. We will return to Polignano in the evening. On the eighth day we will go to Locorotondo, a characteristic and typical circular-shaped municipality of white houses, and then on to the splendid Matera. The city was built in the surrounding rocks, which looks like a film set of ancient Palestine, rich in arts and churches. In the evening we will return to Polignano. The ninth day, our last day, we will return home. The car will leave you at your starting point, with your eyes and hearts full of beautiful memories.